At the Academy Awards this past week, the movie “Free Solo” won for Best Picture documentary. It is the story of Alex Honnold, who last year became the first person to climb Yosemite’s El Capitan alone and without the aid of a rope -- the historic ascent of nearly 3,000 feet of vertical granite. I saw this movie just days before the Academy Awards, and was simply floored by the movie and by Alex Honnold. I believe his story - his ascent up this mountain alone - holds great truths and a deeper meaning for all us. Honnold, who is 33, doesn’t quite put it in those words, at least not in “Free Solo”. Honnold is not a thrill seeker. He’s a perfectionist who understands that the achievement of one supreme thing depends on the mastery of a thousand small things. That’s what transforms this movie from one that’s just about one remarkable feat of daring and athleticism into something much deeper. Not just for those people who are suckers for mountains (like me), but for anyone who seeks to do anything well OR for anyone who seeks to deepen their relationship to God. There are many texts in the Bible that speak of mountains as holy spaces where one might encounter the living God, but almost all of them speak of experiences on those mountains, at those summits, and of what happens upon descent from the mountain. Step, step, step. Stop. Catch your breath. Adjust your pack. Step, step, step. Breathe. I am drawn to the ascent--not so much to the clouds and the light and the mystery at the summit, or to the descent at the other end of the experience, but to the climb itself as a way of talking about our approach to the experience of God. Sounds like what I may be describing is metaphorically the journey of human life and of human faith. We study. We actively look to increase our knowledge of God’s word and God’s direction for us as captured in the Bible. We pray. Prayer is central in our discernment. These are two essential tools in our ascent of the mountain. In your own faith journey, what are you doing when it comes to your study? Are you expecting to ascend that mountain without ever putting on a backpack or breaking your boots in? So, in the rigors of the ascent, do you lose sight of praying? As you climb, do you list all the problems you have with prayer? The problem you face may be practical: I just can’t find the time in my busy schedule for prayer; I want to pray but the pressure of life squeezes it out. Or, as you climb, is the problem metaphysical? -- what does it mean to entreat God to cause something to happen? I suspect, the real problem - the deepest problem in prayer - is that we lose heart, we simply lose heart. If we really knew that praying for healing, praying for the joy for our family, for justice worked, then no one would keep us away from using prayer like a sure, steadying walking stick. I am not saying we need pray more because what is required in a life of faith is dogged persistence. When the going gets tough, the tough get going in prayer. No, I think when Jesus took his disciples up to the mountain to pray, and later said to them, pray and do not lose heart, he wanted them to see not only the eternal splendor of God but the trustworthiness of God. Prayer and study are necessary and important in the conditioning and development of our life of faith. But, I know first-hand that it's a difficult climb. How long it will take, or what kind of effort, I don't know and can't say. I don't know because, like most of you, I am still climbing. And some days the ascent is demanding, and I find myself more than a bit shaky and short of breath. But, we must keep climbing. We climb in faith because you are here and your heart is restless until it finds rest in thee, O God. Click here to listen to Pastor John’s entire sermon on making the ascent up the mountain. 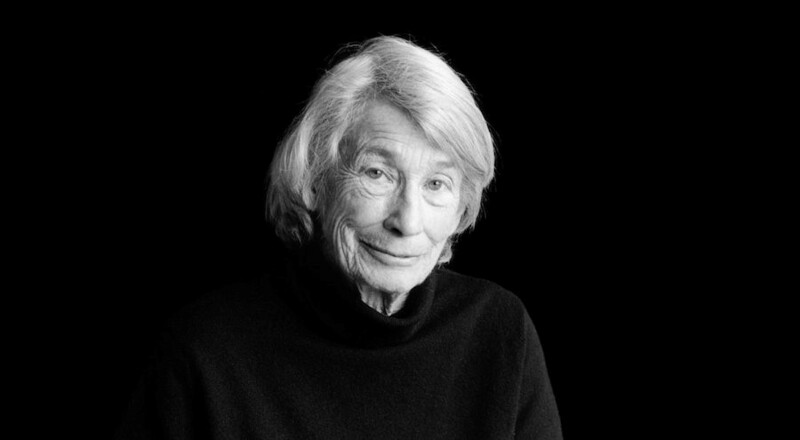 Yesterday we received news that the Pulitzer Prize winning poet Mary Oliver died at the age of 83. My social media feed this morning is full of posts of her poetry. Some time ago, I think it was around 2005, my work took me to Bennington College in Vermont where Mary Oliver taught and wrote from the early 1990s to 2001. On one of my trips I stayed in a university house that Mary Oliver lived in during her Bennington years. Having known of her poetry, I thought this was pretty cool. Oh, if “the walls could talk” I thought, wondering what poems were crafted here that had rippled out and into other houses -- homes and houses of worship. Out the backdoor there was a trail that meandered through woods and alongside a marsh. I took the trail on two snowy February mornings and walked along the marsh wondering if this was the same walk she took daily that became the inspiration for Why I Wake Early (2004) with its poems about crickets, toads, black snakes, watching the deer, and finally, the importance of dwelling in happiness. Friends at Bennington would regale me with stories of how she would walk the woods and come back with a completed poem. Rumor had it that she stashed pencils along the trail in the fork of a tree’s branches or in a crevice of a rock outcropping so she could compose a poem while she walked the hills and trails. Mary Oliver’s poems were widely embraced which may be why her poems and life is trending this morning. They speak to the hunters who take to the woods for peace and connection as much as for trophy. They speak to the conservationists and environmentalists striving to preserve the woods. They speak to the suburbanites trying to navigate the terrain of their lives. They speak to all who are on the lookout for meaning and wonder. Her poems paid close attention to the natural world and in plain language conveyed larger thoughts that carried with an almost teaching, therapeutic, and homiletical quality. Thus, her wide appeal to individuals facing loss and trauma or wisdom for a new direction or for words that would transcend. I recall her poem about wild geese (“Wild Geese”). She had such an appeal for me with my love of nature, and a preacher in search of the right words to share that will move and connect us to a transcendence much bigger than ourselves, especially when my own words seemed empty. Today I am thankful for the life of Mary Oliver and I encourage you to, like her, to be on the lookout for the extraordinary in the midst of the ordinary. You might want to consider stashing pencils so you will be sure to write it down and not miss it when you observe it. This week my friend Paul Burns, who once pastored a church in Nashville and now in Garland, TX posted on why we need to observe Advent. “Advent” means “coming” or “arrival.” During the season of Advent, we celebrate Christ’s coming into the world and watch with expectant hope for his coming again. It is a four week period leading up to Christmas Day. As such, Advent is the time when we begin serious waiting for Christmas, for the birth of the child, but it is also when we think about the future the child promised and embodied and taught and lived, the kingdom of God he promised was coming but is already present in the world, if you can wait and watch patiently enough to see it. 1) The culture we live in has virtually no interest in Advent. You won’t find Advent Wreaths lining the shelves at Wal-Mart. Or music playing about the second coming of Christ on the radio. There’s no war on advent talk on the news shows. And this is good news because it means that it is a much more spiritually pure season. 2) Advent offers an antidote for the instant gratification bug that our culture has caught. In the midst of what has become an incredibly self-indulgent season of more, more, more, and now, now, now, advent is about patiently waiting. It is a practice of the embrace of longing. We learn to wait with growing anticipation. We make ourselves so hungry for Christ that we began to want his presence and his ways above the things of this world. 3) Advent teaches us to be at peace when the world is not. Peace comes from knowing that everything is going to be alright in the end. Christ will come. It does not mean that we are passive in the face of evil. It means that we work toward peace with the sure knowledge of success. It’s less like treading water and more like swimming knowing that the shore is near. 4) In a “need to know” world, Advent points us toward mystery. There is a reality beyond our grasp and comprehension that we brush with if we are paying attention. God is mixing and mingling with us in strange and mysterious ways. But we must be open to the possibility of things happening that we can’t and won’t understand. 5) In a world that values speed, Advent invites us to slow down. Yes, there is a time for fast action, but there is also a time to take it slow. Slowing down allows us to take stock of our lives and to consider things more carefully. It allows us to experience wonder. When we rush we miss the good stuff. Sometimes I think we are in such a hurry that we don’t even really know where we are really going. Going slow allows us to consider where we are, where we’ve come from, and where we are going. Take a road less travelled this December and enjoy the ride! This week I have found myself humming the old hymn “Blessed Assurance” and singing its refrain: “This is my story, this is my song. Praising my Savior all the day long. This is my story, this is my song. Praising my Savior all the day long.” If you are like me, you like a good story. If you are like me, you love telling stories. Turn your ear to a good story and you find it includes honesty, some confession about life’s embarrassing moments. It is revelatory as you come to know something more about the other person. A good story connects us through a shared memory or a shared laugh. We are a collection of stories. But we are selective in the stories we share. We love to tell the stories of our travels or running into a Nashville celebrity on the street or seeing Keith Urban and Nicole Kidman while out walking in Percy Warner Park. But we don’t tell all the stories in the table of contents of our lives. There are stories that are too painful to tell. To tell those types of stories requires trust. It requires the assurance that the other person will hold gently in her hands whatever you care to share. No one likes to admit that their shadows, but we all have them. This month we asking “what’s your story?” during this season of generosity. We have been learning about stories of connection and stories of generosity. We’re telling these stories in our hope that EBPC is a place known for strong relationships and where we can support one another by becoming a scaffolding of laughter and joy in good times and care and support when people are going through hard times. Yes, we are a collection of stories and while we may not trust others with all the stories in the table of contents of our life, we gather in the name of the One who we can trust. The writer of Hebrews calls him a “great high priest” who pierces deeply and yet can sympathize with our weakness and calls us to his “throne of grace” in time of need. There we learn of a love stronger than hate. A life more powerful than death. A resurrection that sheds light into every shadowy tomb. So, I ask you, what’s your story? Is it one of compassion? One of hardship? One of sadness? Whatever your story is…we hope you feel welcomed and accepted at EBPC because together we strive to form a family that loves and supports each other whatever you story may be. There are critical moments in life - in my life, in all of our lives - when huge questions are asked and huge decisions are made. Sometimes we are aware of the importance of the moment, but more often we are not. These critical moments come, I believe, when we are struggling with life’s biggest and greatest questions: where to go to college, whom to marry, what job to take, where to live, how to deal with a major personal problem we face, what to do with the rest of my life. These moments can happen at any age. And to any of us. These moments can be difficult and they can be exciting. We wish more than anything else for clarity, not ambiguity. Those moments take us out of what we like to call our comfort zone because they are not often clear, they present us with new alternatives, new possibilities, and new challenges. They move us out of our comfort zone, those critical moments do, because they invite us to become, in some way, a new person. Change can be hard because nothing changes without conflict. The young man in the passage is right in the middle of one of those important, challenging, uncomfortable, and promising moments. We have some big decisions at every turn. Certainly in our nation. But in our church. And in our lives. Big decisions are always difficult, rarely clear. In fact, maybe the bigger the decision, the less clarity. Some of you reading this post may be in the middle of a BIG decision. Some may still be weighing the decision. Others of you this week committed to a decision, maybe led by the heart or by your mind, hoping the other would follow along. I like how John Buchanan, in one of his sermons, translates the meaning of “eternal life” as the young man is asking: “what do I have to do to live fully, deeply, passionately, meaningfully, now, in this lifetime, and in a way that has the significance of eternity about it?” “Obey the law,” Jesus says. “I do,” the young man says. “Have obeyed all my life.” Then something very interesting happens. Jesus looks at him and loves him. Jesus loves this young man. Loves his integrity, his moral commitment, loves his question, I think, loves the fact that this man is asking a BIG question. The disciples are amazed. Amazed because Jesus has challenged one of their society’s fundamental assumptions: namely that money is a sign of God’s blessing. They are astonished because of the way he cuts through one of the most basic conceptual assumptions and invites people, all people—rich people, poor people—to think in new ways about their lives and what they are here for and what to do with their lives. And so Jesus might challenge us, might he not? Like the young man, we have a lot of stuff. We love our stuff. We think about, spend our resources to buy more stuff, maintain our stuff, and our stuff. Our stuff can be a distraction. I am reminded of the story about the trusting abbot who was taken aback by the spiritual progress of a young disciple. The abbot let the disciple live in his own lean-to down by the river. Each night he would wash his one robe and put it out to dry. One morning he was dismayed to find that the rats had torn his robe to shreds. He begged for another from a nearby village, only to have the rats destroy that one as well. The disciple got a cat, but he found he had to beg for milk for the cat. To get around that, he got a cow; but of course that meant he had to have hay. He got the hay from the fields around his hut. He had to get workers to help. Soon he was the wealthiest man in the region. Several years later, the abbot comes back to find a mansion in place of a hut. He asked the monk what was the meaning of all this? "Oh Holy Abbot, there was no other way to keep my robes." Like him we walk away grieving because there is no way we can live without our stuff. Our stuff is often at the center of the narrative of the story of our life. There are the perils of materialism but I don’t think it is the main concern for Jesus. Instead, Jesus’ focus seems to be upon an invitation to a sincere and honest young man asking the BIG question, an invitation to let go of the strong hold, driven by anxiety and fear, that he had on his resources and to trust God for his salvation. What Jesus offered this young man was the opportunity to discover abundant and eternal life in the freedom of God’s love and the privilege of living for something more and better and bigger than personal security. So “what’s your story?” And how does it connect to God’s story? That’s a hard question the story of your life is not told in a vacuum. Work can take precedence over worship and our social lives can be prioritized over spiritual disciplines. It is a hard question because words are the basis of our telling our story and we don’t have a confidence in the vocabulary of faith to discern and speak about where and how we see God showing up in our lives. So today I leave with you the question: What is the story of your life and how does it connect to the story of God? I have been perusing the texts of scripture and coming across the obvious texts related to the theme of tragedy and suffering, among them: the Book of Job; the story of the tragedy of the collapse of the tower of Siloam (Luke 13). I also came across Psalm 29 and its line: “The voice of the Lord is over the water.” Last week I was at the happy occasion of a family wedding. While that happy family occasion was happening I heard news of the duckboat tragedy in Branson, MO where 17 people drowned in the lake after high winds capsized the boat. Nine of the perished were from one family. The words of the psalmist intersect with the pain of this story and present us with the big question: Why did God do this or allow it to happen. Tia Coleman lost 7 family members -- all of her children. Coleman said she’s never been through something this difficult. "I don't know if there's a recovery from it," she said. She said she’s been getting through the tragedy with a lot of prayers, and thanked the support of family members and friends. "Going home, I already know, is going to be completely difficult. I don’t know how I’m going to do it," Coleman said. "Since I’ve had a home, it’s always been filled with little feet and laughter, and my husband." In the course of getting ready for this sermon, I have come across the stories and resources shared by remarkable people and communities of people who have faced great suffering and tragedy and have much to share. I pass these on to you in the hope that they are helpful if you are facing suffering and tragedy or that you may be helpful to a friend undergoing an experience of darkness. Faith dares to ask the big question. Faith is not afraid to ask, “Why is this happening? Where is God in this?” Faith sees in those questions themselves a deep trust. Faith understands and experiences God, God’s mercy and love and kindness, even in the experiences of God’s silence and absence. I have book learning on this subject and I have had the privilege of carrying a flashlight beside families as they have walked through the darkness of pain and loss and suffering. Not having the unimaginable experience of having lost a child or faced incurable disease, I am grateful for all those who have struggled so honestly and faithfully with the biggest and most profound questions of all, especially this Big Question. I've shifted my focus from dealing with the joyful celebration of Easter (preparation details, sermon writing) to write this blog on this day we call “Good” Friday. I had gotten ahead of the story already hearing the brass and singing the great hymns, seeing the children running and laughing, families in front of the flowering cross. To go back into the darkness of this story on “Good” Friday is a little like spiritual whiplash. I hope you will click on the link above and read the scripture passages for Good Friday and to read the crucifixion story. Here's a recap: the story of Jesus, it seemed, was over. Convicted of sedition, condemned to death by crucifixion, nailed to a cross on a hill called Golgotha, Jesus of Nazareth had endured all that he could—approaching the end he repeated a verse of the 22nd Psalm, a phrase familiar to first-century Jewish ears: “My God, my God, why have you forsaken me?” There was a final wordless cry. And then silence. It appears that Jesus’ followers had no answer to his anguished question of why God would forsake him and that they clearly expected an altogether different outcome. If he was the promised Messiah, his followers expected him to seize real power, military and political power, and achieve some kind of victory. There is reason to believe that Judas, particularly, wanted him to lead a military revolt against Rome. Jesus’ arrest and trial for sedition and his subsequent execution as a common criminal came as a crushing blow to his disciples, along with the fact that his own decisions and behavior seemed somehow to be part of the whole sad, tragic, disappointing fiasco. Jesus could have avoided it all but for some reason chose not to, seemed intentionally to put his safety at risk, his life on the line. And so they fled, left him to die alone, and went into hiding. The women alone among his followers stayed with him until the end and watched as he died and as he was buried and the tomb carefully sealed. And after the Sabbath, it was the women who came back to the place of burial, for practical, pragmatic reasons: to ensure that the body was properly anointed. Their major concern was whether they could manage to remove the stone with which the tomb was sealed. The scriptural accounts are inconsistent (wonderfully so) about what happened next, about who was there, who arrived first, who said what to whom. Click on the link above and it will take you the Gospel of John’s account. For Easter Sunday, I am focusing on Matthew’s account (Matthew 28) so I went back and looked at how Matthew describes the hours before the women go to the tomb on Easter Sunday. Years ago, when in my mid 20s I dog eared a copy of Frederick Buechner’s The Magnificent Defeat where he describes this scene as “old men trying to keep the sun from rising.” Now, years later, my fear is that I am not like one of those “old men” as I sit here finishing up an Easter sermon (what sometimes is referred to my “big shot” for the year to speak to a full house) what will be my Easter message that comes out of the oven that is placed before everyone at the Easter table. How easy is the tendency for me -- and you -- to act like the old men Matthew describes in trying to explain the resurrection story; the ones who try to make it safe and secure. Safe and secure, saying things like the significance of the resurrection is that it really just points to the power of Jesus’ teachings that live on, or to the power of life we see every springtime (cue up the flowers and the butterflies). None of that is very compelling. Especially when we live in a Good Friday world. “Good” Friday is a sad day of loss and cruelty when all you have to go on is faith that light shines in the darkness and nothing, not death, not disease, not even the government, can overcome it. Nor old men. Anne Lamott in her book Plan B: Further Thoughts on Faith writes: “I don’t have the right personality for the human condition. But I believe in the resurrection, in Jesus’ resurrection and in ours.” She writes for all of us, “I hate it that you can’t prove the beliefs of my faith. If I were God, I’d have the answers at the end of the workbook, so you could check as you went along, to see if you’re on the right track. But noooo—Darkness is our context, Easter’s context; without it you couldn’t see the light. Hope is not about proving anything. It’s about choosing to believe this one thing, that love is bigger than any grim, bleak [stuff] anyone can throw at us” (p. 274). I need to get back to putting a wrap on the sermon for Easter. I will leave you with a quote by Jürgen Moltmann on this Good Friday and conclude by saying, I hope to see you as we celebrate the resurrection on Sunday! In church parlance we call tonight Maundy Thursday. The word “Maundy” comes from the Latin word “mandatum,” meaning mandate or command. As Jesus gathers with his friends around the table for his Last Supper, he instructs them how to live, giving them the New Commandment: Love one another. Just as I have loved you, you also should love one another. That we should love one another…yes. But Jesus, in his words to his friends around the table seminar on their last night together has the long view in mind: “Having loved his own who were in the world, he loved them to the end.” That we should make loving another to the end our aim, now that is hard work. Once I start reading a book I have trouble reading a book to its end, from cover to cover. And reading a book can be far easier than loving a human being! I found it a bit coincidental this Thursday morning when I opened a journal I have been trying to read daily and the advice is on finishing what you start when it comes to reading a book. I am still thinking about the Scripture passage from our Palm Sunday service that opens the door into this Holy Week. There is so much that can be said about this week and how it started on Sunday with Palm Sunday. It’s hard to know where to begin and how to make sense of it all. But here’s what I wonder. The Holy Week story is not a story to be explained or understood. It is a story to be embodied and lived. It is a week to slow down, re-group, and take a look around at everything. Isn’t that what Jesus does? No other gospel account describes this. Only Mark offers us the opportunity to look around at everything. In Matthew’s account of the gospel Jesus immediately enters and cleanses the temple, driving out those who bought and sold, and overturning the moneychangers’ tables. According to Luke Jesus sees the city Jerusalem and weeps over it. Then he enters the temple and drives out the den of thieves, those who bought and sold. And in John’s account it’s not clear if Jesus even enters the temple. Instead, the focus is on Jesus teaching about the grain of wheat that falls into the ground and dies. Not so for Mark. At the end of the donkey ride, when the shouting is over and the last cloaks and palms have been thrown down, Jesus enters the temple, looks around at everything, and then leaves. It’s a strange and anticlimactic ending to what is known as the triumphal entry. Maybe, however, it’s necessary. If that’s what Jesus does maybe we should too. Maybe we need to look around at everything before we go any further into this week. Jerusalem was the center of Jewish life. It was the center of the religious, social, political, and economic structure. The temple stands at the center of the center. It is the heart of Jewish life. That means that when Jesus entered the temple and “looked around at everything” he was looking into the very heart of the people. There are moments in each of our lives - big moments, threshold moments, life changing moments - when we need to slow down, maybe even stop, and consider what it is that we’re getting into. Are we ready for this? What does it mean? We look around. I have seen this looking around in the eyes of others. I have seen that look a few times at the wedding rehearsal, a dry run to find out where the x is marked on the floor of where to stand and to get our cues before everybody rushes off to dinner. But just before they go, I have seen that look sometimes by the bride, sometimes by the groom as they look over their shoulder at the empty room that will be filled tomorrow with friends and family. Their momentary reflective look is as if they are looking for confirmation that they are making the right step into their future. Maybe you know of the looking around, the one that happens during the final walk through of the house has the pencil marks on the closet door marking the growth of your children, long since grown. You look around one final time with the sweep that not only takes in the square footage but the years before you close the door and continue with the process of downsizing and paring down your life. Newspaper reports reported that reflective look when Emma Gonzalez, a student at Marjory Stoneman High School in Parkland, Florida came to the podium yesterday at the March for Our Lives in D.C. She spoke for just under two minutes describing the effects of gun violence in emotional detail and then recited the names of those who had been killed. Then she stood and said nothing for 4 minutes and 26 seconds, looking around at the crowd through watery eyes. She knew what this moment meant and what is being asked of her and what is being asked of us. Holy Week is about real life stuff and it hits close to home. Are we ready for this? What does it mean? Do I have what it takes? Is this really what I want? Am I prepared for what is to come? Can I see it through to the end? I don’t think Jesus just looked around at everything, turned away, and then left. I think he looked at everything so that he might take it with him and carry it through this holy week. So must we. What are the things done and left undone, that chain you to the past? (It has been said that you can’t claim a future that is stuck in the past?) What are your regrets? What scares you? Is your heart filled with loss, sorrow, grief? Where is your life overcome by darkness? Take a look around at everything in your heart. What do you give yourself to? What are you going to bear witness to and stop standing by on the sidelines as an observer of your life? Jesus left nothing behind. We mustn’t either. What we refuse to look at and bring to this week cannot be healed, cannot be restored, renewed, re-created, or resurrected. So what will you carry into this week? What will you bring and offer?